Finally a work light that holds up to hard work. 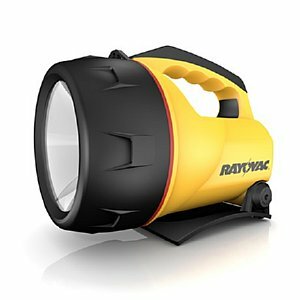 Weather you are plumbing, hunting, constructing, wiring or during any activity where you need a great light this is for you. When the current goes out how are you going to see? This light with a built in base, long range beam and Krypton bulb is another David's Collectibles best of item's. 6 Volt Swivel Lantern Convenient, hands-free lighting. 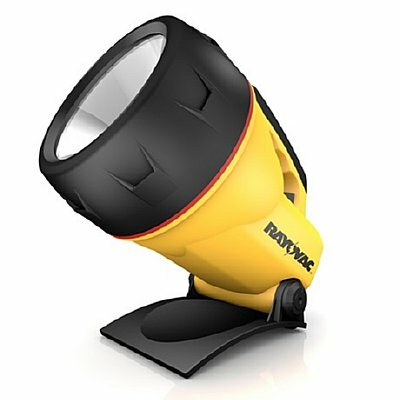 This swivel lantern props up sturdily and can swivel up to 45Â° so you can shine light on whatever project youâ€™re working on. Plus, the lantern is water resistant and floats, so you can be comfortable working with it in wet conditions. 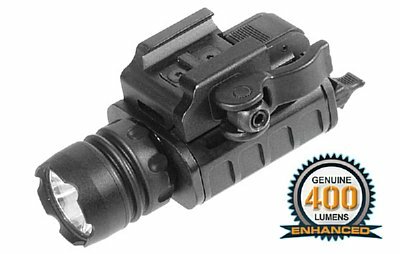 A powerful light designed to rail mount on your pistol lower rail or rifle rail system. 400 Lumen LED light shows the way when others fall short. Easy Ambidextrious on off switch gives you momentary on or full on as needed. A great addition to your favorite weapon. UTG Tactical LED Pistol Flashlight with Best in Class CREE LED Technology. UTG Uniquely Designed Integrated Reflector & Bulb with Preset Wide Angle Flood Focus. Genuinely Enhanced 400 Lumen Power Upgrade and Extended 3 Hour Runtime. 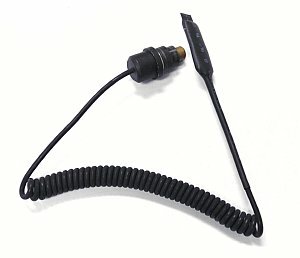 Ambidextrous On/Off Tail Cap with Momentary/Permanent On/Off Operation. Removable Centered and Offset Posi-lock Tabs Included for Increased Compatibility Across A Larger Variety of Pistols. Integrated Picatinny/Weaver Mounting Deck with Patented Quick-detach Lever Lock. WARNING: Follow battery safety procedures when you use your light or laser. Discard expired, damaged or corroded batteries immediately. Leaving operating lights in gun cases or any areas with minimal heat dissipation will cause overheating and battery explosion. Always make sure your light is off and will not be accidentally turned on during storage or transportation. For products equipped with pressure switch, improper placement of the pressure switch on your gun may activate your light or laser when stored in gun cases or other areas. Always make sure pressure switch is fastened to your firearm in a way where it will not be accidentally pressed to activate your light, causing overheating and safety concerns. New Xenon light system in stock and shipping. Powerful Xenon light with push button and remote pressure switch included. Unit rates at 95 Lumens, and uses two BAT-ACC-123 batteries which are included. (spares can be found on our accessory page). Unit weighs in at 5.7oz with batteries, is 1" in diam and is 5.45" long. Comes complete with rail mount ring! 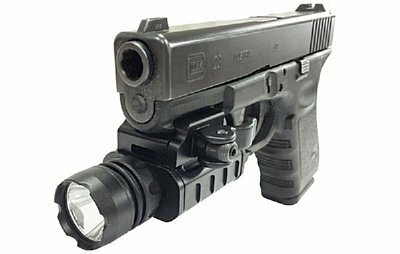 The Tactical light system you have heard about, now you can own one! Light system features remote pressure switch, Xenon bulb, lithium batteries! Integral mount fits Weaver or Picatinny rail systems, includes batteries! Hurry, introductory price will not last long Extra bulbs, batteries and pressure switches are located below! 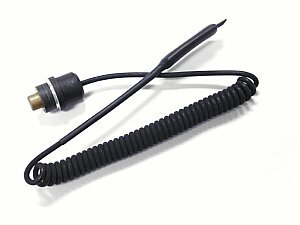 For replacement remote pressure switch order TACSWI listed below. Great Light System For Pistols and Rifles. Heavy duty light system uses Xenon bulb and is rated at 126 Lumens. All metal light mounts to pistols with under side rail or to any rifle with a Picatinny rail. Rotary on/off switch allows for easy and fast use. Light comes with batteries. 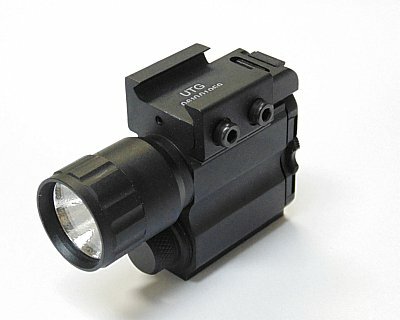 UTG Tactical Xenon Pistol Flashlight. Robust and light weight aircraft grade aluminum throughout. One piece precision machined for maximum strength. Hard anodized finish for wear resistance. Compact dimension 3.05" X 1.06" X 2.07" and light weight. 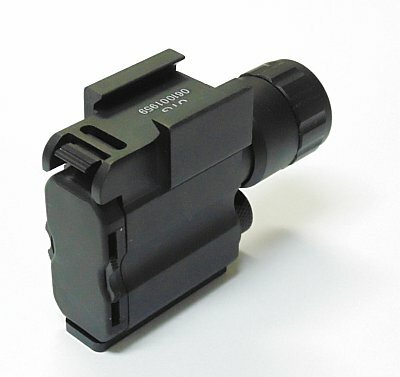 Universal clamp-on mounting deck to fit most tactical pistols with or without rail slots. Tail cap ambidextrous rotary on/off switch. Instant spot focus for clear object identification. Aim and brightly illuminate simultaneously to enhance shooting accuracy. Two 3-volt lithium batteries included. Superbly designed with great shock resistance. Excellent water resistance. Heavy duty metal construction withstands hard use in both professional or recreational use. Order your's today! Tactical light system with laser! Features mount for Weaver/Picatinny rail systems, also mounts under pistol's with standard rail grooves under barrel. 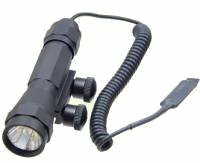 Heavy duty adjustible laser, Heavy duty LED taclight which can quick detach from the mount system to use light independent of firearm. For remote pressure switch purchase the TACSWINC for the light and the LASSW for the laser, both are located below! note:see batteries under the battery page. Remote pressure switch allows user to activate light remotely. Simply run the pressure wire, mount the switch to a flat spot, install it with double sided Valcro and a push activates the light. A great tickbitesupply problem solver. Be prepared with an extra remote switch packed in your 3 day or Range bag. Remote pressure switch for the Tactical light systems above, TACLIGHTNC and LASFLAMNT. Just in, Swatforce tactical light replacement batteries. Keep a few spares around! This is the factory battery.